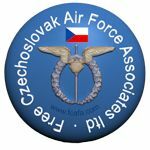 A collection of eight WW2 news clips about Czechoslovak RAF airmen during WW2. The clips cover Alexander Hess and 310 Sqn at Duxford, President Eduard Beneš at Honnington with 311 Sqn, Karel Kuttelwascher medal award and separate interview, 311 Sqn at East Wretham, in Bomber Command, and in Coastal Command at Beaulieu, with the return to Prague in August 1945. This entry was posted in 310 Sqd, 311 Sqd, Ceremony, Not Forgotton. Bookmark the permalink. 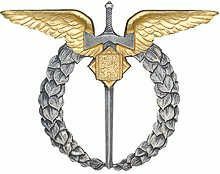 The BBC made a documentary, in the early 1990s I think, about the Czech airmen who were imprisoned. It was quite upsetting, particularly for my father who had escaped (for the second time!) like so many others and come back to England and going back into the RAF. Not everyone went back in 1945. My Father wasn’t debmobbed until 1947. What a wonderful collection of films to celebrate the Czechoslovak men who so gallantly fought to overcome the Germans , and so sad that later, after the end of the War so many were imprisoned by the State. Very moving film of the Spitfires , Hurricanes, Wellingtons and Liberators flown by the Czech pilots. Just fantastic.